We all made some bad calls during our teen years — we became overly invested in shallow romantic relationships,we obsessed over pointless friend drama, we got a tattoo that said "I LUV HOOBASTANK 4 EVER NO TAKEBACKS." But some high schoolers get up to trouble of a much more serious sort — like committing serial murder while still in their teens. While our generic idea of a serial killer may be a middle-aged person, or someone in their twenties at the very least, a handful of murderers get an early start; in fact, many teen killers were also apprehended in their teens, making us wonder what kind of horrors they would have gotten up to had they made it to their adult years free. Considering their tender age, one question about teen serial killers seems to always pop up: how does a kid become a killer? As you'll see in the five stories below, that question needs to be answered on a case-by-case basis; just as there's no one reason why anybody commits any crime, there's especially no single, clear reason why a teenager is driven to commit unthinkable acts before they're even old enough to buy a drink. But there is a common thread between each of these cases — all of them, even the ones that happened over a century ago, are still absolutely shocking. The so-called "Boston Boy Fiend" was the youngest person to be convicted of first-degree murder in Massachusetts state history, at the age of 14. Pomeroy was born in 1859, to an adoring mother and a physically abusive father; Pomeroy's mother later believed that her son's crimes were driven by the fact that he was physically bullied by his father, as well as his peers at school. In his tween and early teen years, Pomeroy became infamous around his neighborhood for his habit of luring smaller children to remote areas with promises of candy and gifts, only to brutally assault them. The Pomeroys moved, but Jesse began attacking the small children of his new neighborhood, and was arrested and sentenced to attend a reform school. Though he was supposed to remain at the school until he turned 18, Pomeroy was released at age 14. Was he released because Pomeroy was totally reformed? Not quite. In fact, it was upon his release from reform school that Pomeroy graduated from assault to murder, killing Katie Curran, 10, and Horace Millen, 4. Millen's mutilated body was found at a Boston area beach, while Curran's body was discovered in the basement of Pomeroy's mother's dress shop (he had thrown it in a pile of ash). Pomeroy was arrested and tried in December, 1874; he was found guilty and sentenced to death. However, his sentence was commuted to life in prison; he spent the first 41 years of his sentence in solitary confinement. In his old age, he was transferred to Bridgewater Hospital for the Criminally Insane, where he died of natural causes in 1932. Any film buffs in the house? Do you know the acclaimed 1973 Terence Malick film Badlands ? How about the slightly less acclaimed 1994 movie Natural Born Killers? Or how about the Bruce Springsteen song "Badlands"? Well, they're all about this guy. 19-year-old Charles Starkweather went on a killing spree across Nebraska and Wyoming during two months of the winter of 1957 and 1958, with his 14-year-old girlfriend, Caril Ann Fugate — a woman who claimed to police to have been Starkweather's hostage, but whom many suspected was his willing accomplice. Starkweather killed a gas station attendant on December 1, 1957; a little over a month later, he killed Fugate's mother, stepfather, and brother on January 21, 1958. Over the course of the next week and a half, Starkweather would kill seven other people, before being apprehended, along with Fugate, in Douglas, Wyoming on January 28. They were returned to their home state of Nebraska to stand trial. Starkweather first claimed that he had indeed kidnapped Fugate and that she was blameless for the murders, but over the course of the trial, he began to paint Fugate as a full-fledged participant, and supposedly called her the "most trigger happy person" he'd ever known. Both Starkweather and Fugate were found guilty; Starkweather received a death sentence and died by electric chair in 1959, while Fugate was sentenced to life in prison. She was released in 1976, changed her name, married in 2007, and has generally refused to speak publicly about the killings. Young is one of Britain's most notorious serial killers; known as "the Teacup Poisoner," he's thought to be responsible for three deaths by poisoning, though he poisoned over 70 people over the course of his life. Young — who was known by his family to be fascinated by poisons and chemicals — began his murderous work as a teen, poisoning various members of his family, and eventually killing his stepmother by poison when he was only 15, in 1962. Young was committed to Broadmoor Hospital, an institution for criminals being treated for psychiatric disorders. He was discharged after eight years in the hospital, at which point he...immediately went back to poisoning people. Young secured work at, of all places, a chemical manufacturing lab, where he began poisoning his coworkers, typically by contaminating the tea at his workplace with dangerous chemicals. 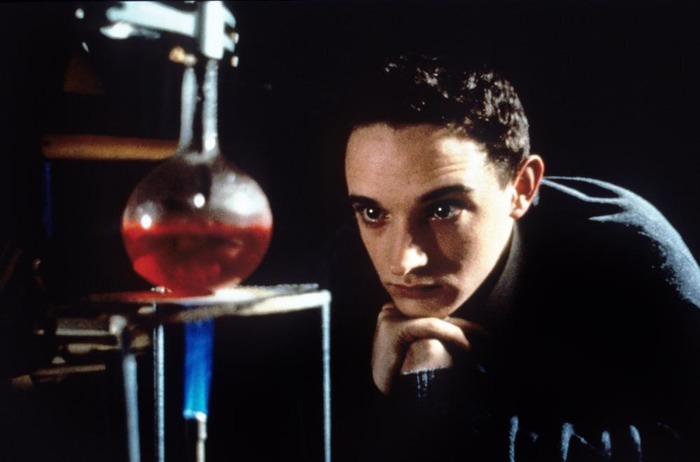 Young was sentenced to life in prison, and died of a heart attack at the age of 43; his life story was turned into the 1995 film The Young Poisoner's Handbook. William Heirens, "the Lipstick Killer," was advanced for his age in a number of ways as a young man: he was accepted into a program at the University of Chicago when he was only 16, and was arrested for carrying a gun at age 13. In fact, despite his hefty intellect, Heirens dedicated his early teens to crime, and was repeatedly arrested for burglary before he moved on to murder around the age of 16. Though two of Heirens' victims were adults women, his most gruesome crime was the murder of six-year-old Suzanne Degan; Heirens supposedly sent the girl's parents a ransom note after abducting her from her bedroom, and her kidnapping (and, after her body was found, her horrific murder) became the focus of a Chicago police manhunt in 1946. The police arrested several men suspects before finding Heirens, who was picked up while committing a robbery in Degan's neighborhood. Police claimed his fingerprints matched those left on the Degan ransom note. Heirens confessed to the murders while in police custody but then attempted to withdraw it, claiming that he had been beaten, forced to take sodium penthol (aka "truth serum"), and had signed the confession under duress. He also pleaded guilty, but later claimed that he had only done so to avoid the death penalty. Heirens was the subject of numerous clemency requests throughout his sentence, with defenders claiming that sloppy detective work and abusive police behavior had led the Chicago PD to lock up the wrong man. Heirens served 65 years in prison before dying of natural causes in 2012, at the age of 83. OK, fine, Robert Coombes is not a serial killer, per se, in that he only killed one person. But the story of that one killing — and what happened afterwards — is so surprising, I think you'll want to hear about it (if you're a serial killer purist and are appalled that I would even bring this up, please feel free to close this article and fire up a classic episode of Dexter — may I suggest the Ice Truck Killer one with the hand?). In 1895, Emily Coombes was found dead in her home. There was no search for her killer, however; her 13-year-old son Robert admitted that he and his 12-year-old brother, Nathaniel, had decided to murder her after she beat Nathaniel for "stealing food" from their home kitchen; Robert had been the one to actually stab their mother to death, however. In the 10 days between their mother's death and Robert's arrest, the two boys lived in the house with their mother's corpse, amusing themselves by attending cricket matches and plays. Her death was only discovered when the smell led neighbors to become concerned. Though the media tried to blame the murder on Robert's consumption of popular pulp novels or simply a monstrous disposition, some modern observers believe that Robert and Nathaniel may have been being severely physically abused by their mother. This doesn't excuse Robert's actions; but it does provide context for what came next. Found "guilty but insane," Robert was sentenced to Broadmoor, Britain's infamous high-security psychiatric hospital (the same one that would unsuccessfully attempt to rehabilitate Graham Young). But at Broadmoor, Robert thrived, playing on the cricket team as well as with the hospital brass band. 17 years into his sentence, at the age of 30, Coombes was released from the hospital — at which point he moved to Australia, joined the armed forces, and served in World War I as a stretcher-bearer, receiving a medal of distinction for his work. He also took in a young boy who was being beaten by his own parents. None of this is to say Robert Coombes' crime was justified, or that any crime ever is. But Coombes's story can lead one to wonder how many young killers and their acts were shaped more by their circumstances than any kind of innate evil.